In the photo: George Dyckes (Kitchell), Adam Killinger (ASCE), Neal Colwell (KSN), Wilson Zhu (KSN). 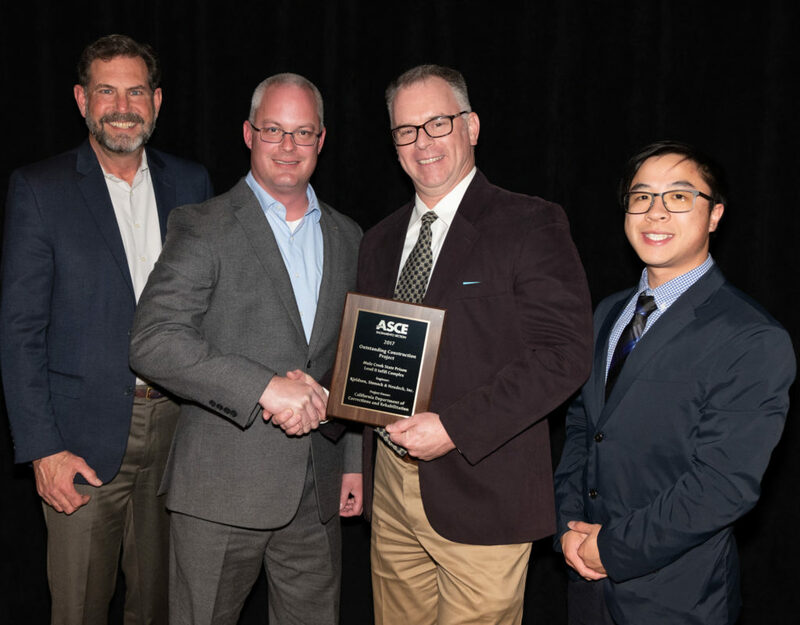 The California Department of Corrections and Rehabilitation’s (CDCR) Mule Creek State Prison Level II Infill Complex received American Society of Civil Engineers Sacramento Section’s Outstanding Construction Project of the Year award at the annual awards banquet held on April 12th in Sacramento. This $344 million project included 23 buildings of approximately 550,000 square feet covering 60 acres, and was a shining example of what CDCR called “Design-Build done right.” KSN is proud to have been part of the amazing design-build team behind this award-winning project.